March 5….School of Rock Lubbock Charity Birthday Bash – Everyone is invited to an '80s themed skate/concert blowout that will raise money for our new scholarship source with Rock School Scholarship Fund. Not only will you be helping local kids, but you will get to see our staff perform together for the first time, plus our student Dean's List will rock the stage, too! $10.00 gets you skates, concert access and of course birthday cake! Call us at 806-795-0506 for more information! Adventures-Lubbock, 3305 116th Street; 7 – 9 p.m.
March 6….26th Annual Mayor's Beans and Cornbread Lunch - Come eat beans and cornbread, enjoy the sounds of performers from the Cactus Theater, and help Hospice of Lubbock in our mission of providing end-of-life care for our patients and their families. Tickets are only $10 and can be purchased at the door. Lubbock Memorial Civic Center, 1501 Mac Davis Lane; 11:30 a.m.- 1:30 p.m.
March 6….First Friday Art Trail - See the regular art venues...plus the exciting monthly additions showcasing art and artists downtown and throughout Lubbock. Catch a trolley or bus at many of the locationsor pick up a FFAT map at any of the venues to see the art that can be found throughout the community each month during the event. First Friday Art Trail trolleys run continuously in downtown Lubbock during FFAT hours. Trolleys are free and you will find a "trolleyteer" on each trolley who is a treasure trove of info about FFAT and the arts in Lubbock and will help you navigate with ease. For more info and complete schedule click HERE! The trail runs throughout downtown and the Depot District from 6-9 p.m.
March 6….TTU Presidential Lecture and Performance Series Presents John Pizzarelli Jazz Quartet With Jane Monheit In Singers Over Manhattan - Soulful elegance, virtuosic musicianship, melodic creativity, and an unfailing swing will be operative during this meeting of John Pizzarelli and Grammy nominated Jane Monheit, each a world-class communicator of an encyclopedic array of American and other popular song styles. A formidable practitioner of the 7-string guitar and the most conversational of singers, Pizzarelli, accompanied by Monheit, addresses repertoire associated with Nat King Cole, Frank Sinatra, the Beatles, and others. “With Monheit, you get a beautiful, theatrically supple voice — masterful and effortless… with Pizzarelli, you get a terrific jazz guitarist armed with incredible improv skills… that’s part stand-up comic routine, part head-boppin’ fun.” - Broadway World. CD signing following performance. Tickets available at Select-A-Seat at 770-2000 . Allen Theatre, Texas Tech Campus; 7 p.m.
March 6….Tribute to Fleetwood Mac, The Doobie Brothers, and The Eagles - These three bands changed the face of American music in the '70s and continue to amaze audiences today. Like the Beatles and the Stones who brought a special new flavor to music in the '60s, these are the bands that brought a new sound to pop music in the '70s. Join Dustin Garrett and the Lubbock Texas Rhythm Machine and a host of Lubbock singers in what will prove to be an unforgettable evening of music! To give all of you a chance to see the show, we have decided to present this show every Friday in February. Don't miss it! Contact the box office at 806-762-3233 to reserve tickets. Reserved seating $20. 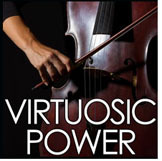 Cactus Theater, 1812 Buddy Holly Ave; 7:30 p.m.
March 6 - 7….Lubbock Symphony Orchestra: Virtuosic Power - Join guest conductor Vladimir Kulenovic and guest cellist Maja Bogdanovic as they perform one of Shostakovich’s most powerful pieces, Cello Concerto No. 1. Then, experience the stormy sounds of Mendelssohn and the Finnish heroism of Sibelius Symphony No. 2. You won’t want to miss this night! For tickets call (806)762-1688. Lubbock Memorial Civic Center Theatre, 1501 Mac Davis Lane, 7:30 p.m.
March 6 - 8….Lubbock Home & Garden Show – Come and get some great ideas for your home and garden. Admission: adults $5.00 and under 2 years old free. Visit lubbockhomeandgardenshow.com for more information. Lubbock Memorial Civic Center, 1501 Mac Davis Lane; Friday: 4 – 8 p.m., Saturday: 9 a.m.- 6 p.m., Sunday: 12 – 6 p.m.
March 7…..The Roundtable Presents: Steve Verett, Plains Cotton Growers - “Cotton on the High Plains: Where We’ve Been, Where We Are, Where We’re Going - Our luncheons are held at Hillcrest Country Club 4011 N Boston Ave, Lubbock. North on University past State Supported Living Facility to Newcomb, left for about 4 blocks and you will come to the entrance of the Country Club at Boston and Newcomb. We meet from 11 a.m. – 1 p.m. with registration and meal selection at 11 along with networking so we are ready to begin the meeting at 11:30. There are no membership fees or dues. Attendees each pay $15.00. Any extra proceeds goes to the Dudley E. Faver/Adolph Hanslik endowed scholarship to benefit TTU Honors College students. Our Saturday luncheons are a great way to (1) learn more about global/US/Texas/Lubbock issues and events, (2) meet other people in area who may become lifetime friends (3) feel more at home in Lubbock. Most wear business or business-casual attire. No RSVP necessary. Show up whenever your schedule allows, feel free to bring a guest(s) and email this invitation to anyone you think might be interested. Questions: email Marie Evans - Chair: MEvans1398@aol.com. March 7….9th Annual Severe Weather Awareness Day - The Student Chapter of the American Meteorological Society at Texas Tech University, along with KCBD News Channel 11, the National Weather Service, and the Science Spectrum, will be hosting Lubbock's Ninth Annual Severe Weather Awareness Day. Activities will include hands- on weather experiments for kids of all ages, live weather demonstrations with tornado and lightning simulators, information on severe weather preparedness, and door prizes. Storm Chasing vehicles and weather instrumentation from Texas Tech’s Severe Storm Research Team will be on-site and open for all to see. Special OMNI Theater screenings of the film "Tornado Alley" will also be featured in celebration of the day’s events. "Tornado Alley" lets audiences ride along with tornado researchers and chasers and get closer to real tornadoes than most would ever dare! For additional film information visit www.tornadoalleymovie.com. Forecasters from the National Weather Service (NWS) office that serves the South Plains area, whose local offices are located in the Science Spectrum building, will also be providing a Skywarn Storm Spotter Training, and Tornado / Severe Weather Safety Talks to the public. Come out and meet John Robison, Steve Divine, Cary Allen and Cutter Martin from the KCBD weather crew for a weather-filled day of fun! This is a *FREE event for the general public and will be located in the Science Spectrum's main lobby and Exhibit Hall. *Standard ticket rates apply for all OMNI Theater films and museum admission. Showtimes for the film "Tornado Alley" on Saturday, March 7th will be 1:00, 3:00 & 5:00 pm. March 7….Tribute to Bon Jovi, Journey, Aerosmith – Musically speaking - it doesn't get any more exciting than this! Mega-hit songs made famous by rock bands that are bigger than life! Come see how we do Bon Jovi, Journey and Aerosmith at the Cactus Theater! Get ready for "Livin' on a Prayer", "Don't Stop Believin'", "Dream On" and many more classic tunes! You will love this concert. Please contact the box office at 806-762-3233 to reserve tickets. Reserved seating $25. Cactus Theater, 1812 Buddy Holly Avenue; 7:30 p.m.
March 7….Brad Paisley in Concert - Brad Paisley is a critically acclaimed singer, songwriter, guitarist and entertainer whose talents have earned him numerous awards, including three GRAMMYs, two American Music Awards, 14 Academy of Country Music Awards and 14 Country Music Association Awards (including Entertainer of the Year), among many others. A proud member of the Grand Ole Opry since 2001, Paisley earned the first of his 22 #1 singles in 1999, writing or co-writing 19 of them. His latest single, “Perfect Storm,” is from his chart topping 2014 album Moonshine in the Trunk. He is currently headlining his Country Nation World Tour. Tickets available at Select-A-Seat at 770-2000. United Supermarkets Arena, 1701 Indiana Avenue; 7:30 p.m.
March 8….Youth Orchestras of Lubbock Spring 2015 Concert – This concert will feature Nicholas Cheon on the Cello. The purpose of YOL is to provide an exceptional music education experience to the members of the orchestras; provide artistic performances that enrich the lives of developing musicians, our community, and our region; and to work cooperatively with public and private schools, and independent music teachers in a continuing effort to provide musical development for youth. We have 160 of the most talented students in the South Plains. Admission is free. Lubbock Memorial Civic Center Theater. 1501 Mac Davis Lane; 4 p.m.